We are professional sound, lighting and video contractors dedicated to total customer satisfaction with full design, build, service, and rental capabilities. CLS is fully licensed and insured. We have provided sound, lighting and video systems and equipment to the Raleigh, Durham, Chapel Hill area of NC for over 30 years. Our primary area is the Eastern U.S. but we have completed projects throughout the world. Our sales, service, and installation teams will accept nothing less than total satisfaction. We certainly appreciate your interest in CLS and the opportunity to help with your system requirements. 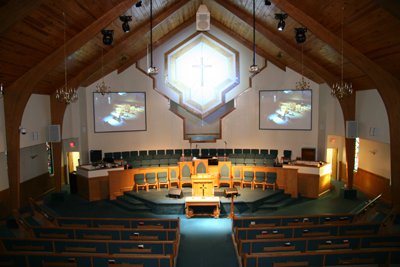 House of worship audio, video and lighting systems have evolved over the years from basic functionality to full concert quality multi-media systems. A variety of technologies can be employed to enrich services that range from traditional to contemporary. Many components such as sound reinforcement, recording, broadcast, and video production comprise a modern house of worship system. Whether you need a boardroom sound system, a central paging system or a complete facility-wide sound and video solution, we can help. 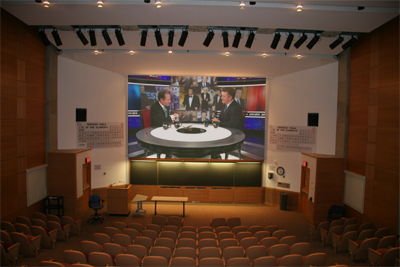 We can provide professionally installed, custom designed sound and video systems that meet the specific requirements of commercial, educational and governmental institutions. Electronics has revolutionized the entertainment business. Your venue needs to step into the 21st century! 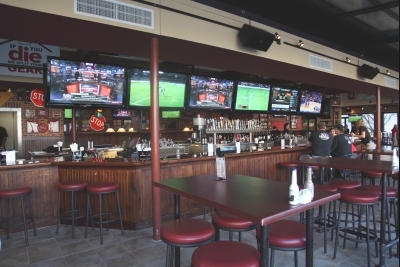 LCD, LED and Plasma displays can select from multiple sources such as local cable, Xm/Sirius satellite systems and commercial DirecTV with stunning HD quality and state of the art sound. Play multiple sources and channels simultaneously using simple to operate yet powerful touchscreen interfaces. Keeping your customers entertained and happy makes us happy!